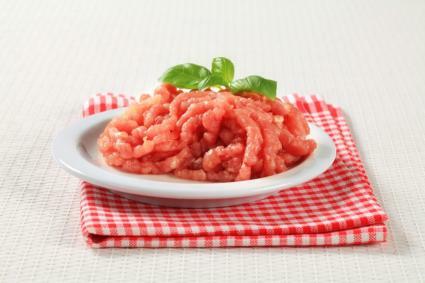 Ground turkey is a delicious lean protein with a mild flavor that lends itself well to many different flavor profiles. Use it in a variety of dishes from breakfast through dinner. 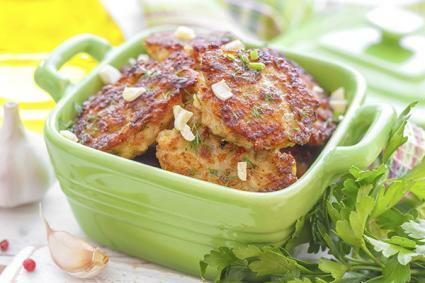 Try these delicious ground turkey recipes for enjoyable, easy meals. It's easy to make your own breakfast sausage when you already have ground meat. Just add herbs and spices to the turkey, and use as you would any other breakfast sausage. Include it in your rotation of breakfast or breakfast-for-dinner meals. Combine all ingredients in a medium bowl, mixing well. Heat oil in non-stick skillet over medium-high heat until shimmering hot. Add patties and fry until browned on both sides, about five minutes per side. 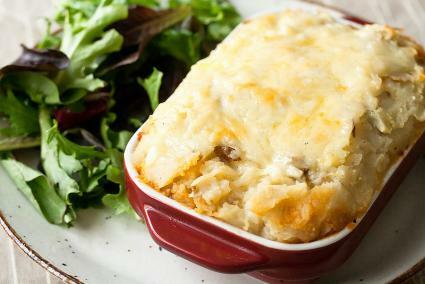 A classic Irish dish, shepherd's pie typically uses minced lamb. Try replacing the lamb with ground turkey for a hearty, satisfying main course. Boil the potatoes and 4 cloves of the minced garlic until potatoes are tender. Drain the potatoes. Combine with skim milk and chicken stock. Mash the potatoes and season to taste with salt and pepper. Set aside. In a large sauté pan, heat oil until it is shimmering hot over medium-high heat. Add turkey and cook until it is well browned. Remove turkey with a slotted spoon and set aside. Add onion, celery, and carrot to remaining oil in pan (adding a bit more if necessary) and cook until it is soft, about five minutes. Add the remaining two cloves of minced garlic and cook, stirring constantly, until it is fragrant, about 30 seconds. Add flour and cook, stirring constantly for about one minute. Stir in chicken broth, scraping the bottom of the pan to remove any cooked on bits. Add Worcestershire sauce, thyme, sea salt, and black pepper. Cook until mixture thickens slightly and begins to boil. In a 9x9 baking pan, spread the meat mixture on the bottom. Bake until potatoes are golden, about 20 minutes. 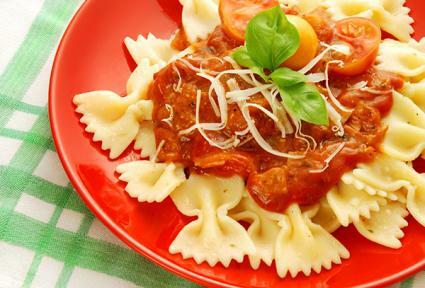 A traditional Bolognese sauce is a slow simmered meat ragu containing ground beef and veal. This recipe lightens the original up by using ground turkey. Heat olive oil in a large pot over medium-high heat until shimmering hot. Add onions and cook until soft, about five minutes. Add Italian parsley, oregano, marjoram, salt, sugar, pepper, and tomato sauce. Simmer, uncovered, over medium-low heat until turkey is tender and sauce is thickened, about 60 minutes. Serve over hot pasta, topped with Asiago cheese. 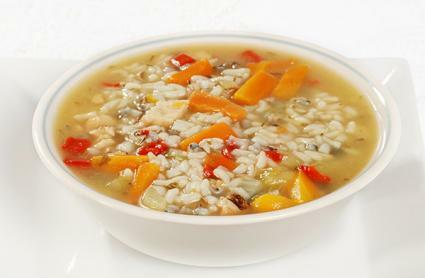 This hearty soup makes a healthy main course. Heat olive oil over medium-high heat in a large pot until shimmering hot. Add turkey and cook, breaking up turkey, until it is well browned. Add onion, celery, carrots, and red peppers. Cook until soft, about five minutes. Add tomatoes, thyme, and chicken stock, scraping bottom of pan to remove any cooked on bits. Bring soup to a boil. Add kale and rice. Reduce heat to medium-low and simmer, covered, until vegetables are tender, about 15 minutes. Ground turkey works well with Mexican flavor profiles. 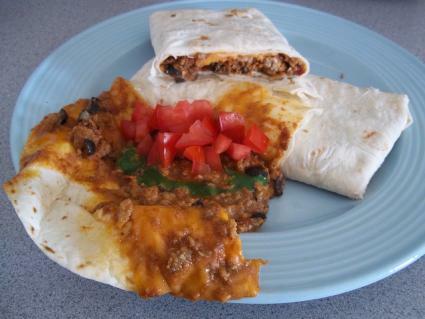 Try these turkey burritos instead of your traditional burrito the next time you feel like having a dinner with Mexican flair. Warm up black beans and mash with prepared salsa. Set aside. In a sauté pan, heat oil over medium-high heat until shimmering hot. Add turkey and cook, breaking up, until well browned. Add onion and pepper and cook until soft, about three minutes. Add chili powder, cumin, and oregano and stir to combine well. Spread mashed beans equally on tortillas. Top with ground turkey mixture and cheese. Roll tortillas around filling and place on a baking sheet. Bake until heated through, about 15 to 20 minutes. Ground turkey lends itself well to many recipes and flavors. With so many choices, its easy to make ground turkey your go-to protein for healthy meals.